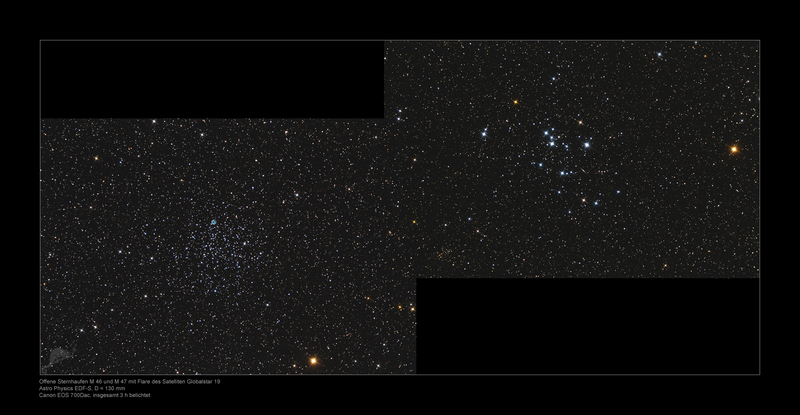 A panorama of the two open clusters M46 and M47 (with a flare of the satellite GlobalStar 19. Additonal shows the mosaic the open cluster NGC 2423 and the two planetary nebulae NGC 2438 and PK 231.4+04.3. A detailed object description at Messier 46 and Messer 47.